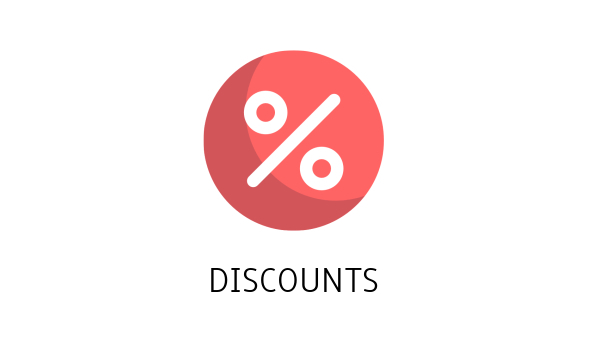 Discounts extension allows you as the owner of the marketplace to configure promotional discounts (coupons) for end-users (buyers) of your marketplace. 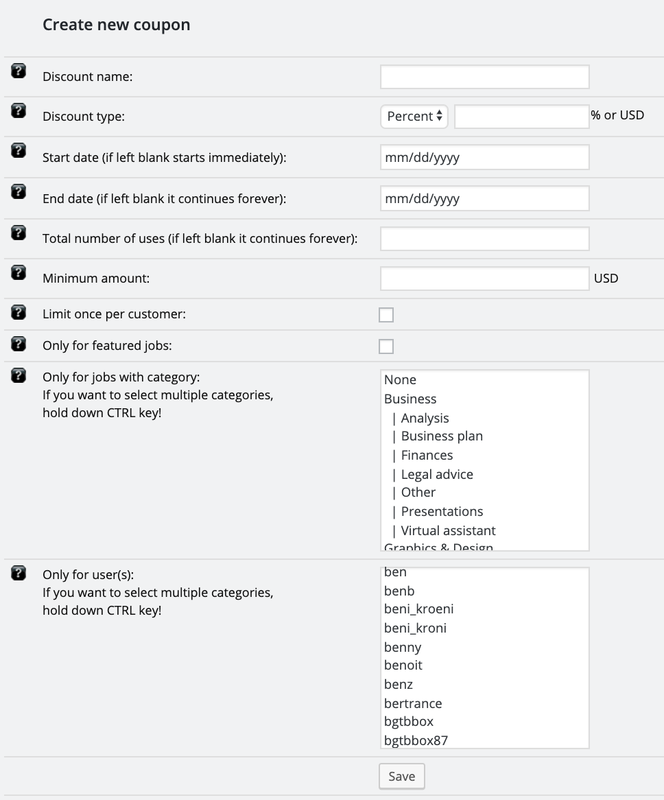 ​Extension can be configured so discounts are subtracted from administrator’s earnings, or seller’s earnings. Additionally, sellers are able to create their own promotional coupons, which can be applied only to seller’s own jobs, and in which case the discount is subtracted from the seller’s earnings. Coupons can be limited only to specific categories and/or users, and can even have a start and expiration date, as well as minimum amount requirement. See the following screenshot for more details.